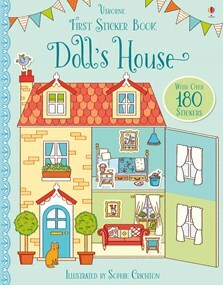 A delightful doll’s house sticker book to fill with over 180 stickers of beautiful furniture and accessories. Children can fill the colourful playroom with toys, books and games, stock the kitchen with delicious food to eat and find a spot for Zippy the cuddly monkey in the bedroom. A fun way to practise fine motor skills.